(or “the incredible shrinking treemap” HT @albertocairo). Treemaps are a really useful way to understand hierarchical data, but they are not well-suited to side by side comparison. Recently I’ve been working on the World Bank’s Atlas of the Sustainable Development Goals 2017 (which was a large team effort). One highlight that I worked on was a comparative treemap / cartogram of people living in extreme poverty, which is a bit different from the typical treemap. Google’s data supremacy: should we be worried? The digital revolution has triggered dramatic shifts in how cultural products like music, books and film are produced, distributed and consumed. They are no longer physical items to be printed or pressed, but frictionless streams of bits. The commercial implications are now apparent to all. Less well-understood, though, is the cultural significance of this revolution. 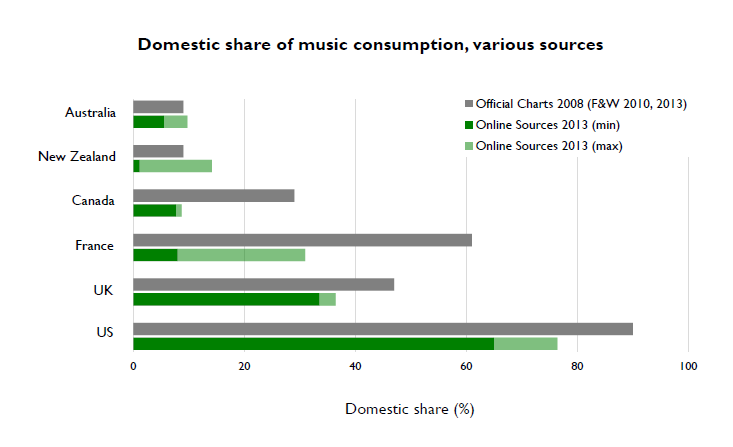 Existing research concludes that the ‘domestic share’ of music consumption (e.g. the proportion of music consumed in France that is produced by French artists) is high and has, if anything, increased since 1990. Our new research suggests that this share is lower online – particularly amongst countries with airplay quotas. Such quotas are the traditional response to concerns of cultural hegemony, but will almost certainly be futile in future: analogue policy in an increasingly digital world. This post, on the Nesta website, previews results for some work I’ve doing with Andrew Somerville (from Semetric, the company behind Musicmetric).